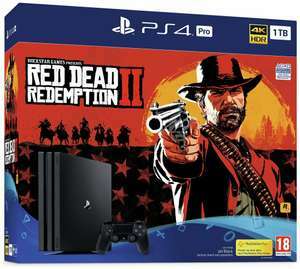 PS4 Pro with physical copy of Red Dead Redemption 2. Refurbished but comes with 12 months Argos warranty. Assuming this is probably just items returned by customers. Refurbished with a 12 month Argos guaranteeOutlaws for life. Experience Red Dead Redemption 2 on PS4 Pro for 4K HDR graphics and optimised performance for your 4K HDR TV.